In this video Terence gives a brief introduction to the new PMUP utility pump. This 24VDC pump connects to the 1Link accessory connections on the 1Link module or the new Energy Bar 832. 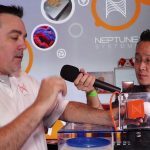 Neptune Systems has just released an informative new video showcasing the features and uses of its PMUP (pronounced P-MUP). 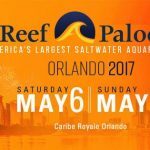 What is PMUP, you ask? 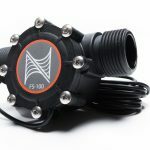 From Neptune’s website: “The PMUP is a 24VDC submersible pump that was designed to directly connect to the DC24 accessory ports on either the 1Link module OR the same ports on the new Energy Bar 832. If you own our WAV powerheads or our new Apex, then you have a place to plug it in! These ports are switchable and can power the pump on and off just like any other outlet on an Energy Bar. 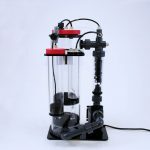 The PMUP is a multi-purpose pump that can be used for many different tasks on your aquarium like: Auto-Top-Off (ATO) ATO will likely be the most popular use for this pump. And unlike many wimpy pumps out there, the PMUP has enough pressure to push water up 14 feet vertically, it can even move the water up from one floor below. This means you could put your RO water storage in your basement or downstairs in a utility room and it could still pump it up to the tank. It also has a vertically oriented design with a bottom intake and top output that is perfect for use in jugs or other RO containers. Just drop it in! Run your reactors safely and with less energy The PMUP is not just for ATO. It is also a great pump to use for running your various reactors bio-pellets, carbon, GFO, or even the two-stage combo unit from BRS you see here. 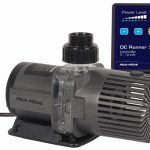 The PMUP uses less than 20W of power so it is a very efficient way to run reactors and adds very little heat to your aquarium. We’re certain there will be many other uses found for the PMUP we’ve not even considered yet. Easy to connect with standard tubing and fittings The PMUP Has a smooth, 3/8″ (9.5mm) output that will easily connect to silicon tubing or standard push-fit connectors like the one shown in this image.” Sounds fantastic!